Marble countertops for kitchen still remain the most popular choice amongst people. 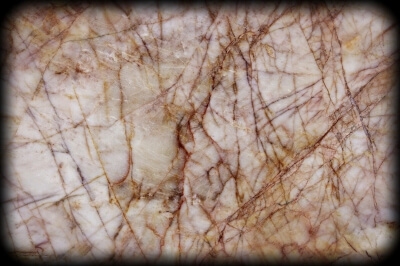 Despite various options available in the market, people still opt for kitchen marble slab. The white shade of the marble along with its grains makes it perfect to sync with the rest of the décor of the house. Marble is a metamorphic stone that means it is formed when the crystallization of sediment that happens under great pressure, forming a very strong and hard rock. Marble due to its easy availability and comparatively low costs remains the top favorite in the countertop options. To find marble countertops in Edmonton, you need to take care of few things. Marble comes in two types of finishes, honed and polished. Both the finishes have their own plus and minus. The polish finish is much more popular as it can be customized into various finishes. Make sure to get the right estimate of the price as marble countertops price in Edmonton keeps on varying from place to places. The Honed finish on the marble is created by sanding the surface to a soft, matt finish. When the marble is carefully honed, it resists the chances of scratches. Honed finish renders a less bright surface to the marble as the soft is finished in matt surface. This can be corrected by the use of sealant which also protects the marble. The Polish finish gives the marble a shinier surface giving it a certain coat that makes it less prone to stains. But as the finish gets more mirror-like, this might make it prone to scratches. Polish surfaces may get dull over time due to the usage. Marble can be cleaned on daily basis using a moist cloth. Normal dishwashing liquid can be used on the marble to clean the surface in case you spill something over the top. If there is any stain, you can use baking soda paste to get rid of it. If you have a honed finished marble, then you have to be little more careful about the spilling, as the pores in the marble may absorb the liquid. Polish surfaces are more protected in case of spillage and they don’t get stained easily. The honed surface of the marble has open pores that need to be sealed with a good quality sealant to protect it against the stains. This should be done by an experienced professional. But if you are careful enough while using the things at the kitchen, you don’t need to get the marble sealed as it will put a dent on the finish and the beauty of the honed surface. But in case you need to get the sealing done, you can use permanent sealers that seal out the pores in the marble giving it a protective layering across the edge. My friend recently was redecorating his kitchen and he wanted some inspiration for his marble themes kitchen. He decided to look at antiquesworld and their range of marble related antiques to understand how he could incorporate that tastefully into his baroque influences kitchen.